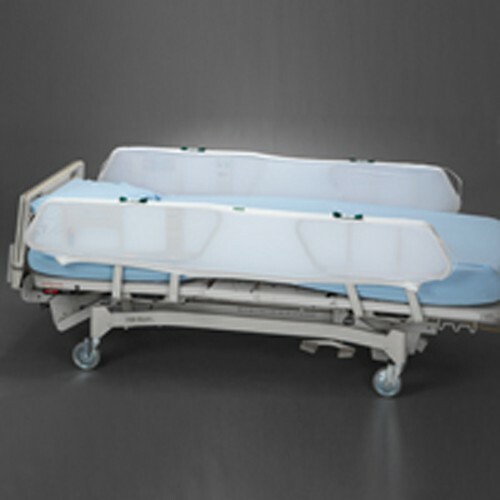 Use the easy-to-apply side rail protectors by Posey to deter bed exit and to reduce the risk of side rail entrapment. A one-piece mesh design covers rails on either side with an under-mattress section that connects both sides. The Side Rail Protector expands and contracts during the re-positioning of the bed and allows access to side rail mounted patient controls. Posey Elastic Mesh Side Rail Protectors provide a means for covering gaps within the side rails. Just what we needed for bedrails with a slightly too large gap.